A loan of $575 helped to buy canned goods, noodles, drinks, spices, shampoo, snacks foods, and other personal care products to sell. Ma. Coneta is 44 years old, married, and has 5 children. She works hard to provide for her family. 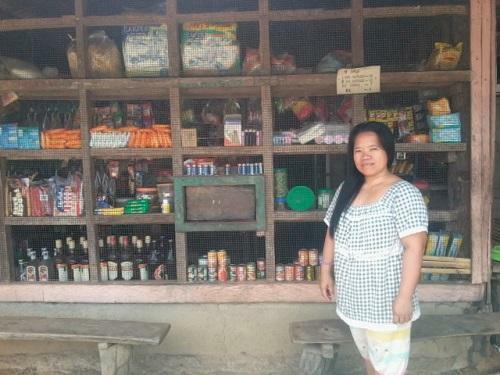 For 5 years, she has operated a general store in the Philippines. She also earns additional income from selling vegetables. Ma. Coneta requested a 30,000 PHP loan through NWTF to buy canned goods, noodles, drinks, spices, shampoo, snacks foods, and other personal care products to sell. She has borrowed and repaid 2 loans from NWTF prior to this loan. Ma. Coneta aspires to save enough money to afford to send her children to college. It helps this borrower grow their business.